If you only have a few days to spare, here is my selection of experiences and top sights. Make sure you check opening times for the restaurants as they close on different days of the week. 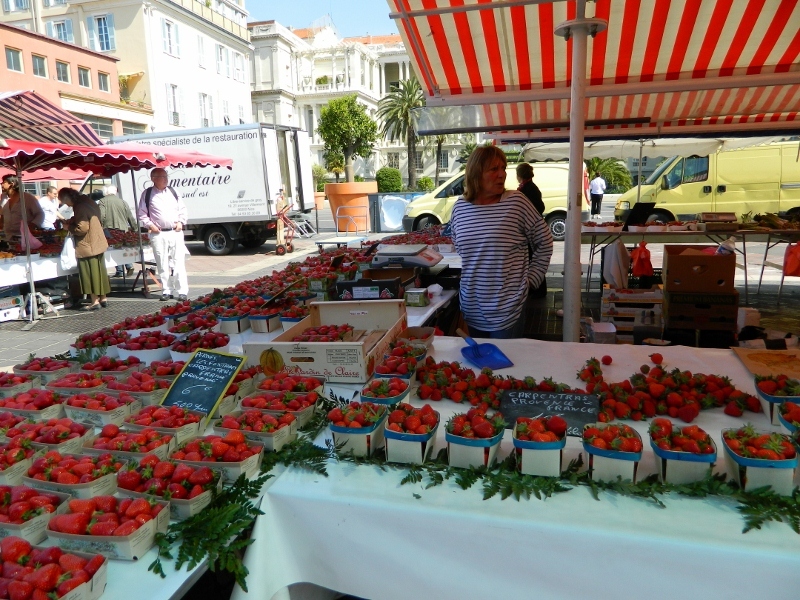 Farmer’s Market in Cours Saleya – a large market full of wonderful fresh seasonal local produce. 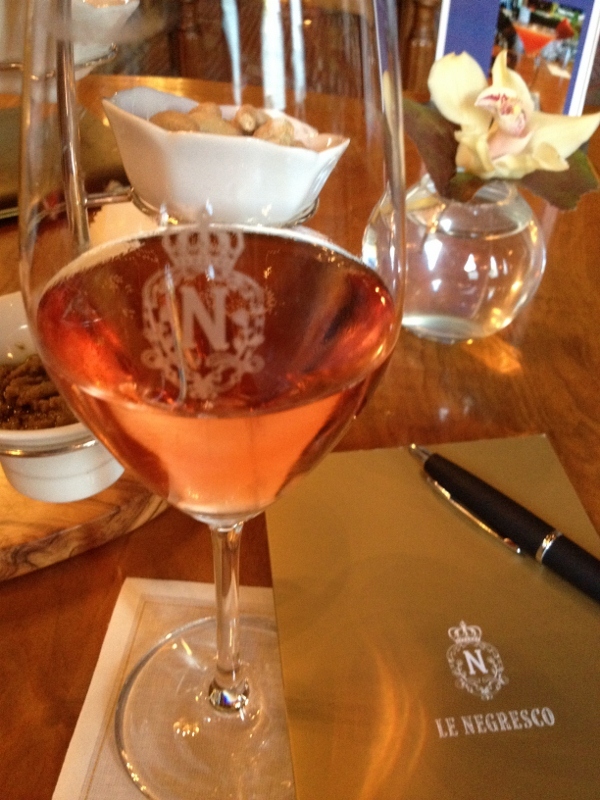 Try the socca (chick pea pancake) with a glass of local rosé. Get there about 9am to avoid big crowds. 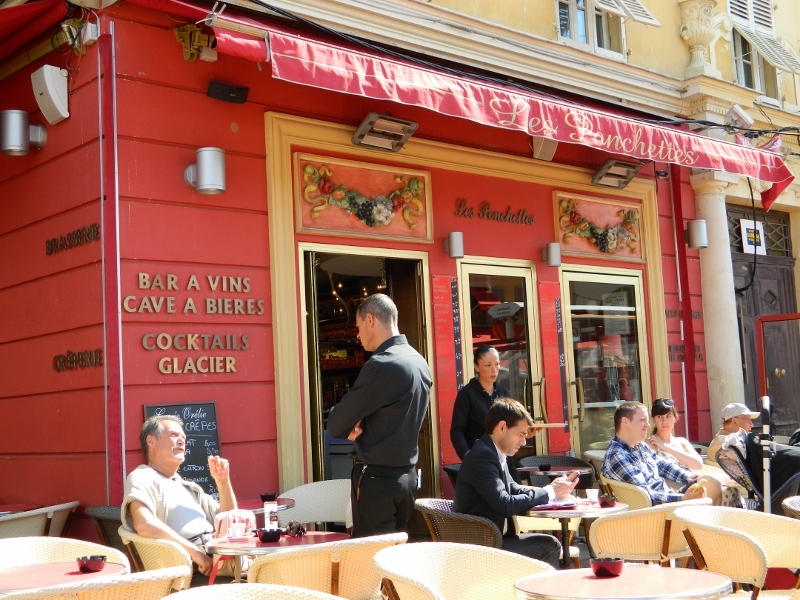 We found a reasonable coffee at Les Ponchettes on the corner of Place de la Poissonnerie and Cours Saleya. Daily except Mondays. From 8am to approximately 2pm. Brocante Market in Cours Saleya – around 200 dealers congregate every Monday to sell antiques. Includes kitchen paraphernalia, artworks, fabrics and nick nacks. Prices are a bit high but you can usually negotiate. Roughly the same hours as the Farmer’s Market. Walk to Le Chateau – for fabulous views of the city. 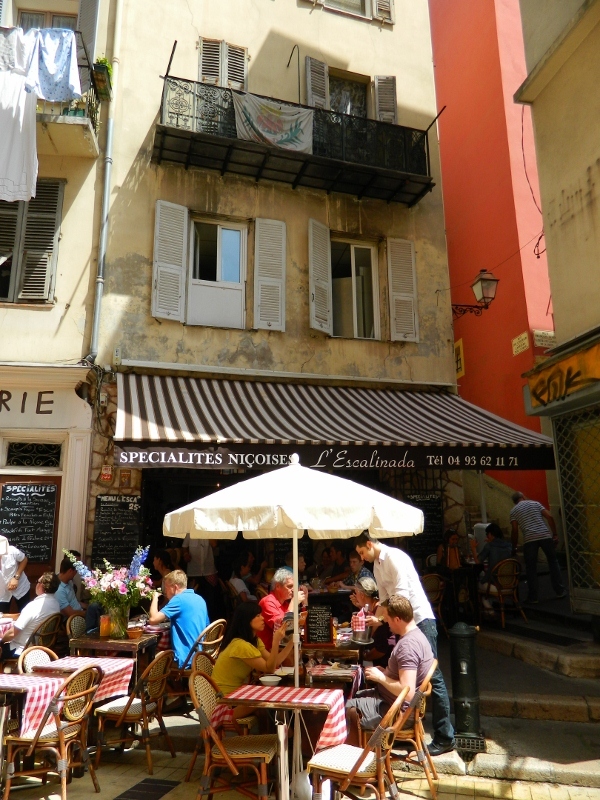 Take the free ascenseur (lift) to the top and walk down the hill ending up in Rue Rosetti in the old town. 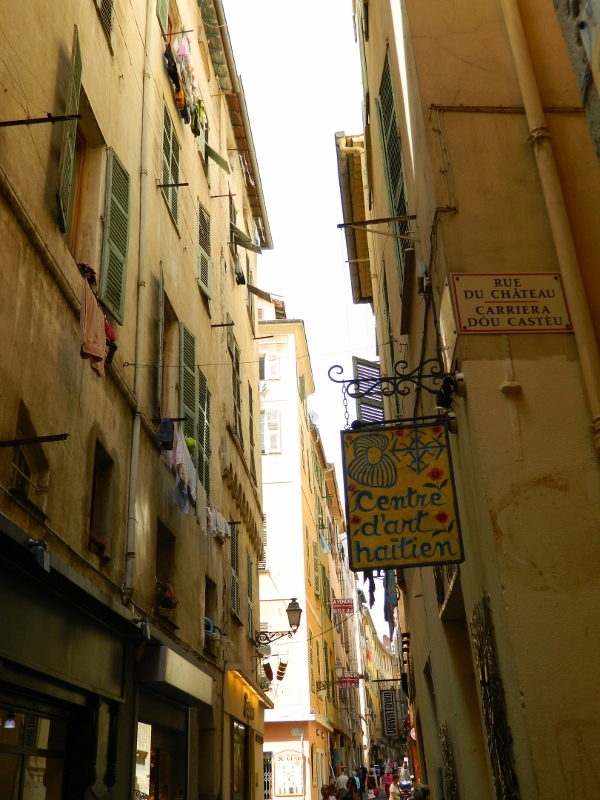 Then wander around the narrow streets of the Vieille Ville (old town). 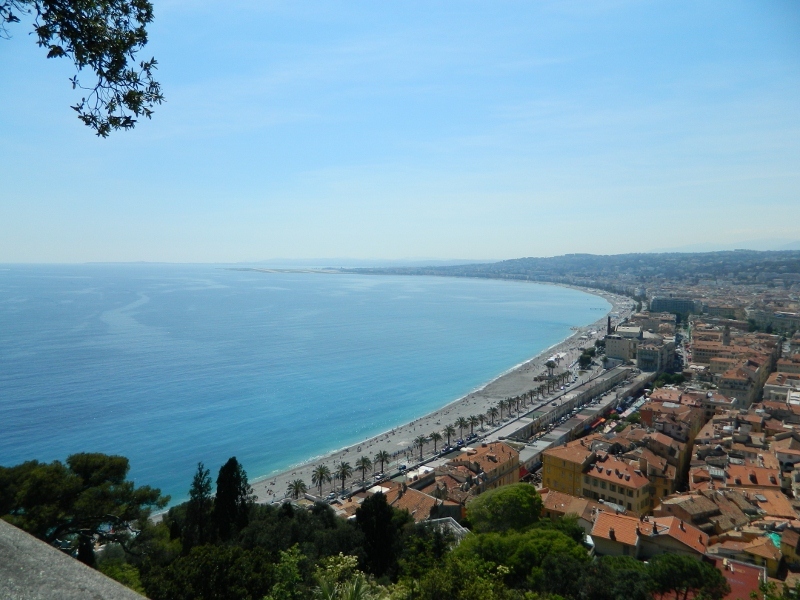 The ascenseur is at the eastern end of Promenade des Anglais – set slightly back from the seafront. Look for the signs. Palais Lascaris – a small baroque palace in the heart of the Vieille Ville. 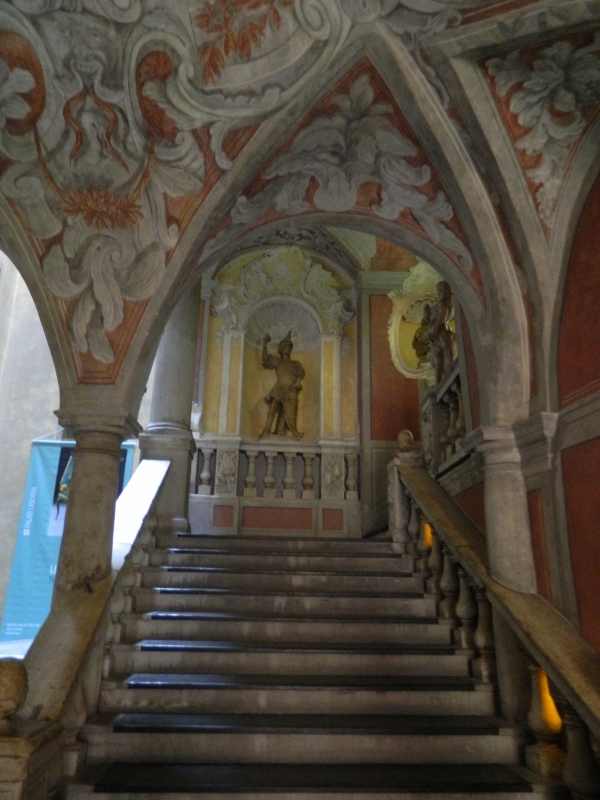 Beautiful architecture, musical instruments and paintings. Combine this with your walk down from Le Chateau (above). 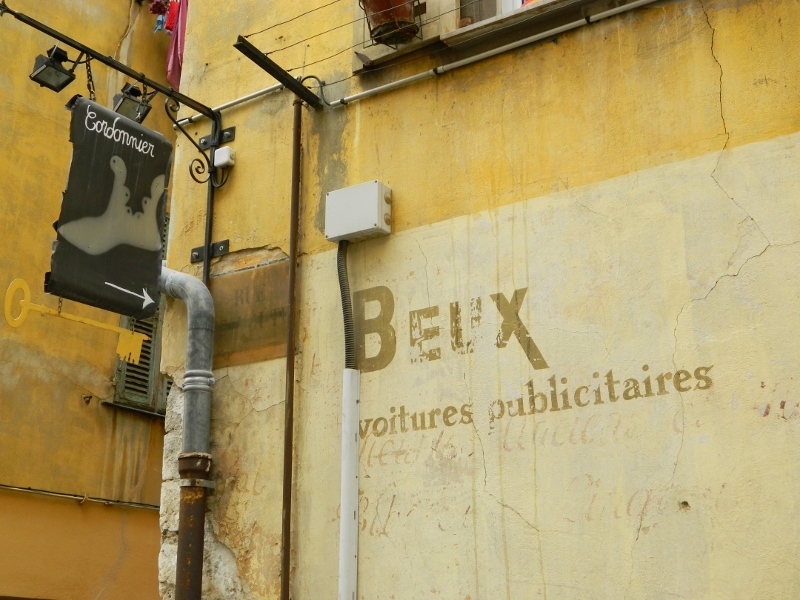 13 Rue Droite. Daily 10am to 4pm except Tuesdays. 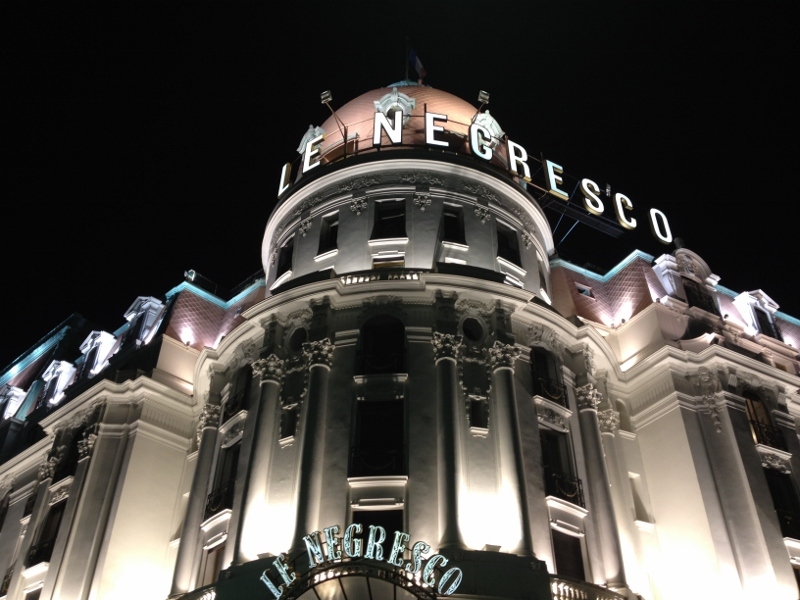 Hotel Negresco – walk along the Promenade des Anglais at night and stop off at the fabulous belle époque style Hotel Negresco for a cocktail or a glass of champagne in Le Relais bar. Rather expensive but worth it for the experience. The hotel looks particularly beautiful at night. 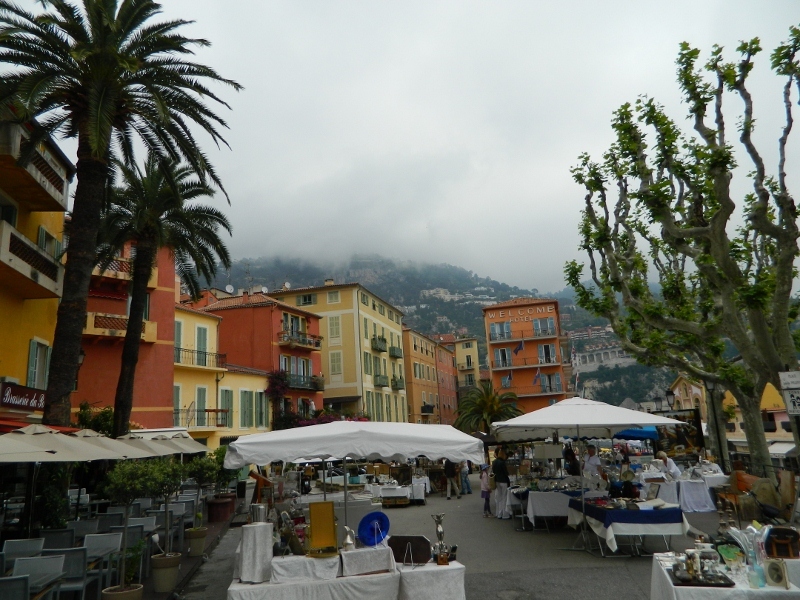 Train trip to Villefranche sur Mer – a pretty seaside village with steep winding streets and plenty of cafes and restaurants for crowd watching. There is a Sunday Brocante market which gets going at about 10am. The train trip takes less than 10 minutes from the central railway station. Dinner in the Vieille Ville – at night the Cours Saleya converts from a market to a dinner venue. 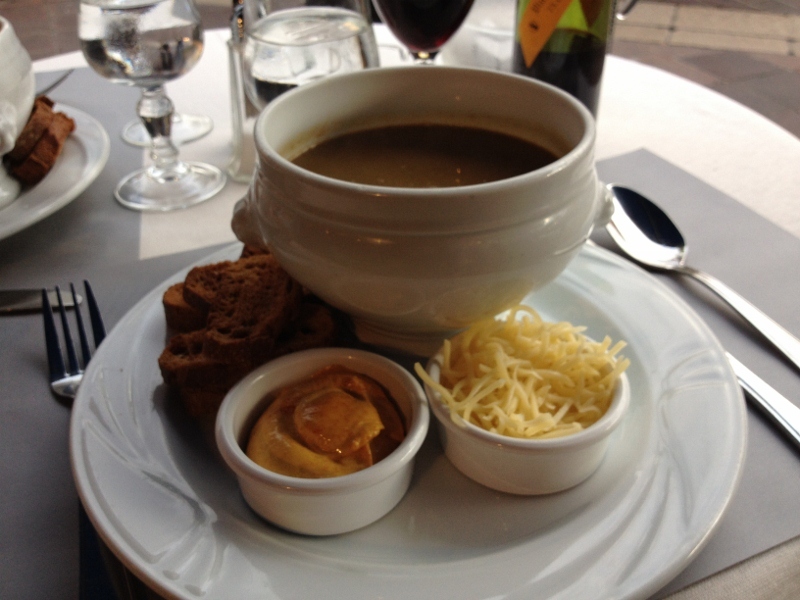 We had a great Soupe de Poissons at Le Safari – sit outside for people-watching. If you don’t find anything to your liking here, then venture further into the vieille ville. We liked L’Escalinada for typical Nicoise food and Oliviera for fresh local produce matched with provencal olive oils. 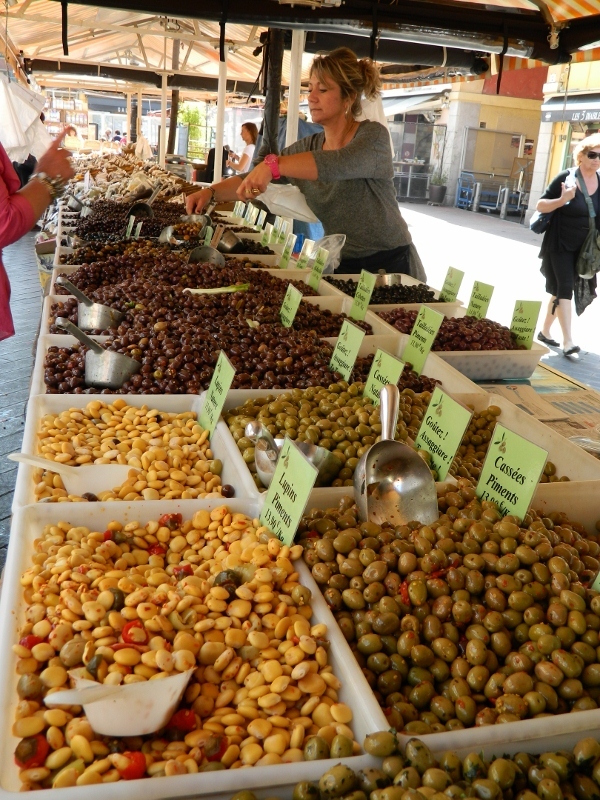 If you have more time, consider a market tour and cooking class with Rosa Jackson of Les Petits Farcis – a wonderful day and worth every Euro ! !